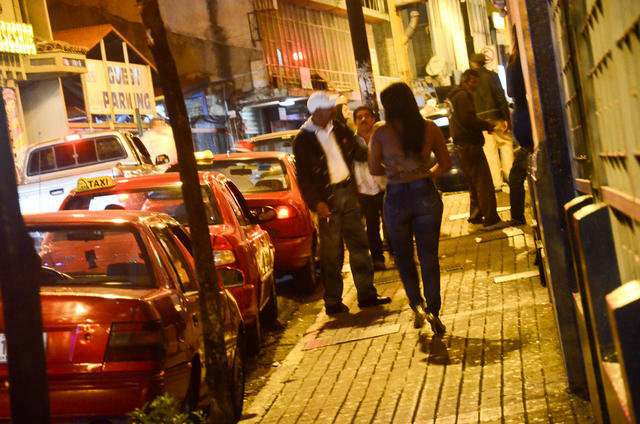 A 6.6 magnitude earthquake shook Costa Rica Sunday night, leaving three people dead. 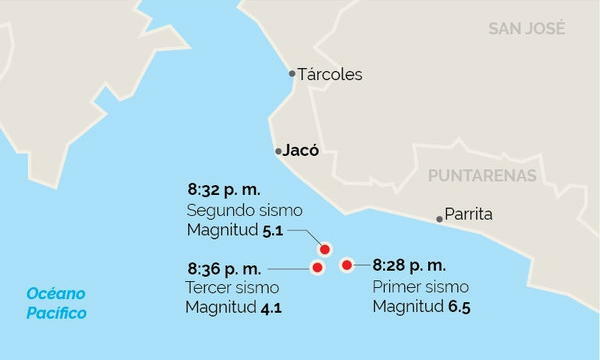 As confirmed by the Fuerza Public (National Police), two of the victims were reported in Jaco, the area closest to the epicenter of the main tremor and six replicas. The quakes were reported felt throughout the country. 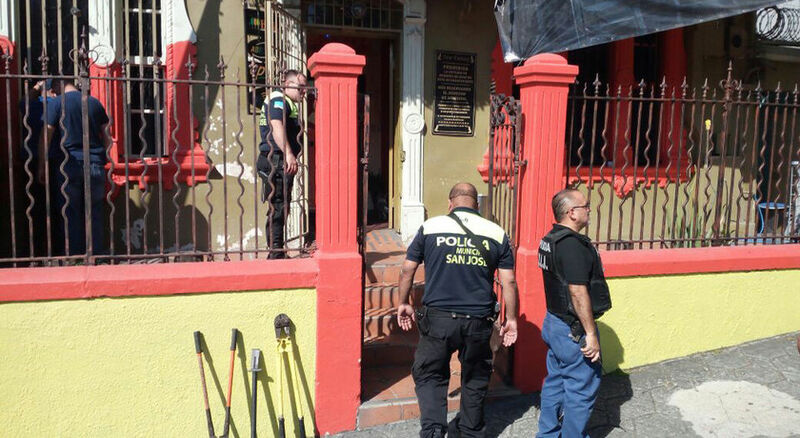 The two victims in Jaco are identified as Teresa Viales Navarro, 56 and Jose Alberto Segura Gutierrez, 54. The third, Jean Carlos Zuniga, 25, in Coronado, on the northeast side of San Jose. Preliminary reports indicate the victims died of heart attack. Jim Batres of the Cruz Roja (Red Cross) said the causes of death will be known official following autopsies. Downed power lines were reported in the area of Quepos, south of Jaco. Also, reports of power failures were reported in Alajuela and Orotina. 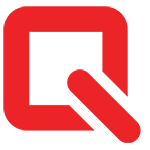 At least a dozen supermarkets reported damage, mainly of falling merchandise from shelves. In Jaco, an apartment building had to be evacuated. Across the country, reports of damage are still coming in. The earthquake occurred at 8:28 pm. 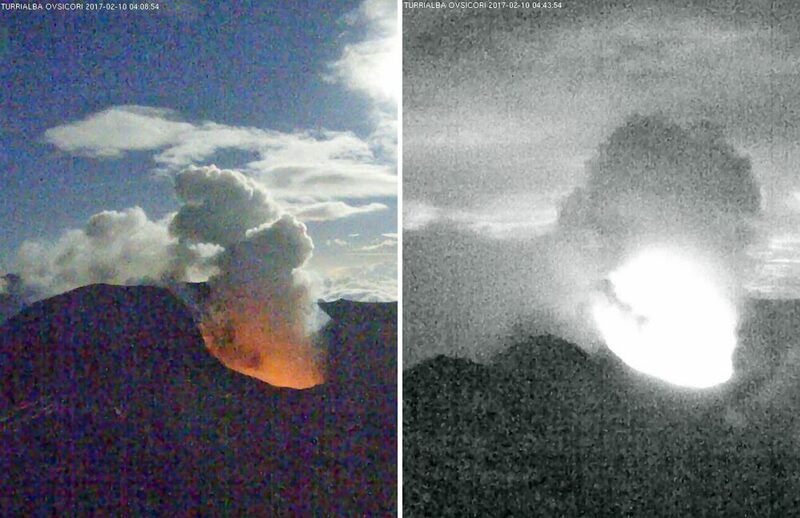 Reports of intensity vary from 6.5 to 6.9 in the international media. A series of aftershocks, as strong as 5.1 were recorded moments after the initial quake. 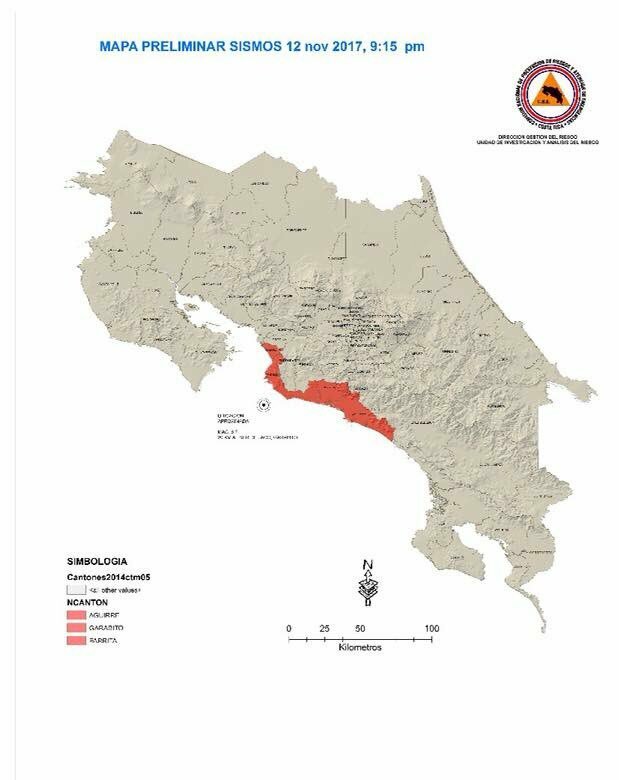 According to the Observatorio Vulcanológico y Sismológico de Costa Rica (Ovsicori) of the Univeridad Nacional, the epicenter of the first earthquake was 23.9 kilometers southeast of Jaco, at a depth of 10 kilometers. 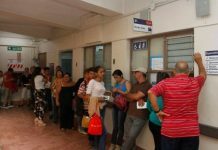 “We felt a tremor, it was very strong, we had a long time of not feeling such a tremor in Jacó and minutes later another came in. 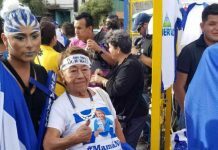 We left the house with other neighbors, in my room I wanted to fall the screen, but we could grab it,” Said Magdalena López, a resident of Jaco. 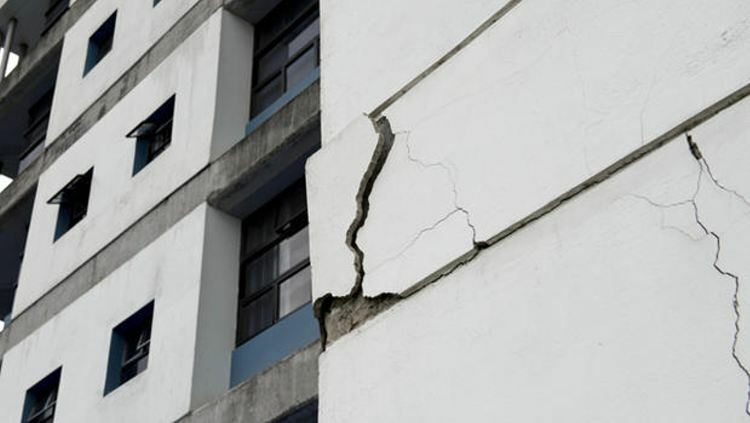 In total, the Red Sismológica Nacional (RSN) reported 11 aftershocks. According to the RSN, the last time an earthquake this strong with an epicenter in the Central Pacific was in 1999. 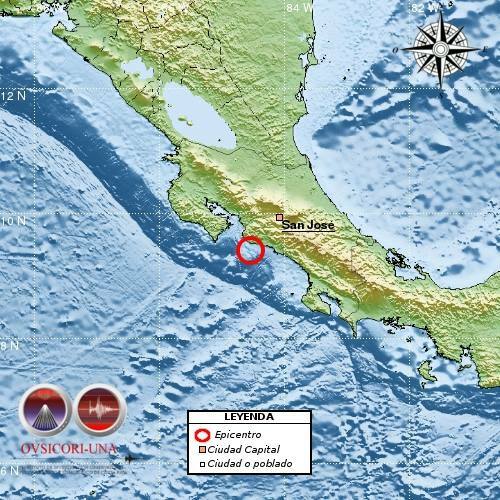 That quake was a 6.9 magnitude in Quepos.